• Wash and soak brown rice for 30 minutes to 1 hour. (This helps the rice to cook faster). • Once cooked, spread the rice on a plate; add 1-2 tsp of oil mix and let the rice cool then separate each grain with a help of fork. • Heat oil in the wok to smoking hot and then reduce the heat to medium high, add garlic, green chillies and saute for few seconds. • Immediately add onions, spring onion white saute for a minute. • Add in cabbage,spring onion greens, schezwan sauce, chilli sauce, tomato sauce, soya sauce, vinegar and give it a good toss. Make sure the veggies are coated evenly with sauce. 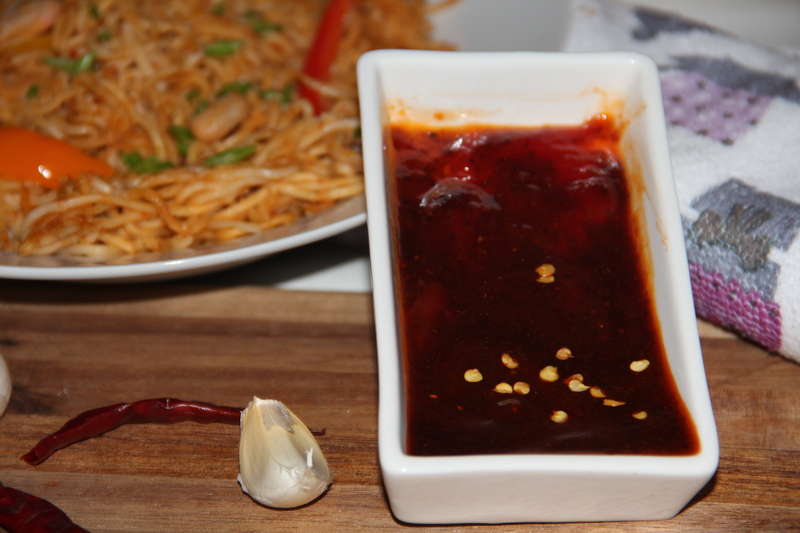 • Now add the cooked rice and mix them well so that each grain is coated well with sauce. Stir fry for 3-4 minutes till each grain is heated through. • You can make this with white rice as well. • Make sure not to overcook the vegetables as it has to retain the crunchiness and colour. 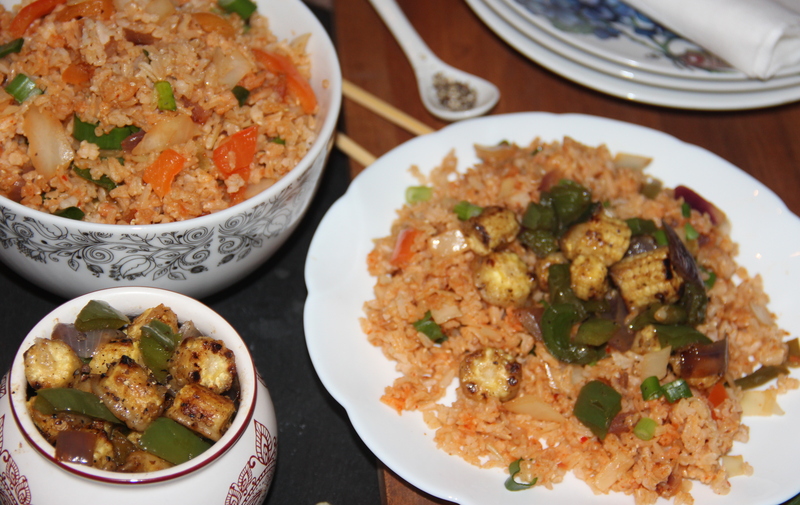 Posted on June 9, 2014, in Indian, International, Main Course, Main dish and tagged Chinese brown fried rice, drchdietfood, Fried brown rice, Indo-Chinese cuisine, Schezwan Fried rice, Vegetarian fried rice. Bookmark the permalink. 8 Comments. I am bookmarking this now! 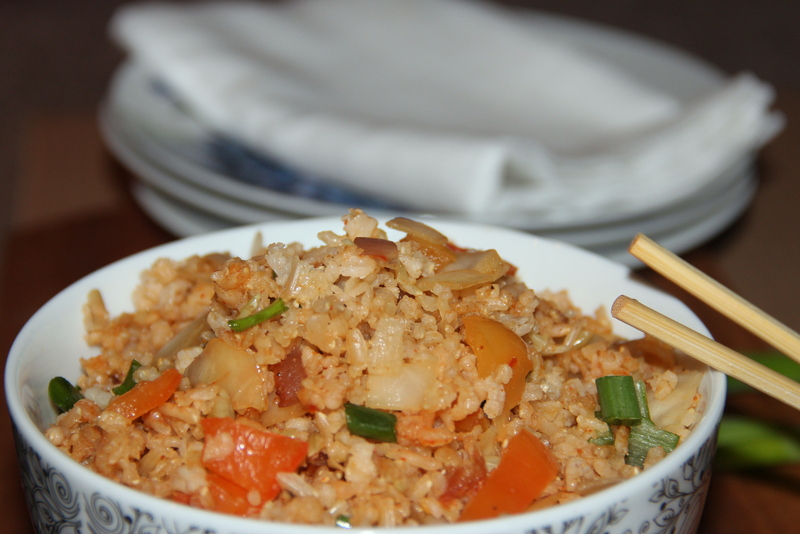 I love these rice pilaf dishes, scallions are so aromatic and flavorful. I’m really hooked on Indian and Afghani basmati rice. Delicious! So nice to know you like rice dishes..Thanks for your visit..